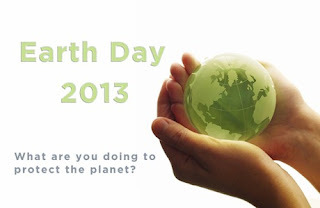 What are you doing to protect our planet? Like everyday I am composting produce scraps, recycling, conserving energy, and reusing things like plastic bags. I try to use less, waste less and reuse more. I don't do as much as I should, but we do recycle. I re cycle everything--into good will bins from books to clothes to household items. I also re use whatever I can! We burn a lot of paper products and boxes, but bottles we wash, fill with water and save. I keep all jars & lids for the workshop we are gonna have put up. I completely forgot Earth Day, we were headed out to do clean up at a park, someone threw a box on fire out of their car and I freaked out and went home not thinking about where we were supposed to be. I feel horrible. I have my share ... I made sure that lights off when not in use and uses water efficiently. Re-using what I can re-use instead of throwing them like, glass bottles and cans. Turning off electronics when not in use. I haven't done anything cool that day. We started recycling more now that we live in the city and we have a pickup for it.